The City offers a 25% discount on water, sewer, and storm drain utilities to qualifying low-income residents. This discount is available to both homeowners and renters. 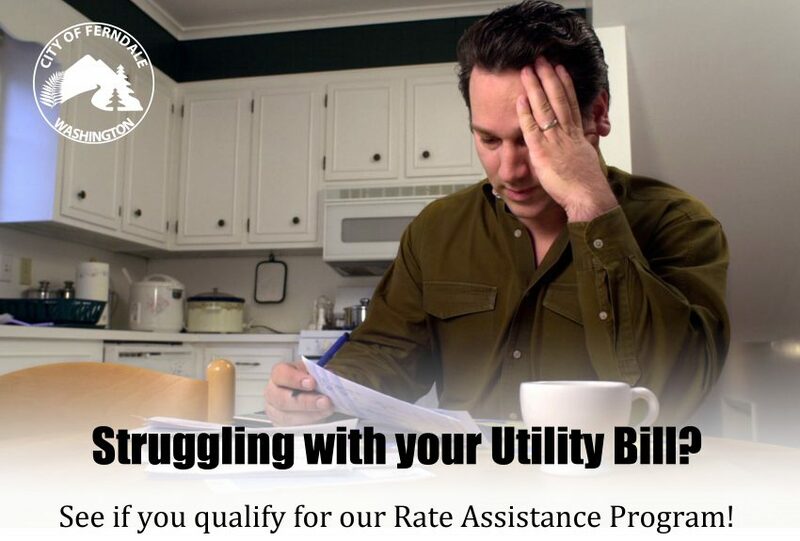 Click here for the Application for the Rate Assistance where you will find the income eligibility requirements. Please turn in this form with the accompanying documentation to City Hall to receive your discount. Applications are also available in the City Hall lobby. For additional questions or clarification on any of the information contained in this letter, please feel free to contact our Utility Clerk at 360-384-4269. 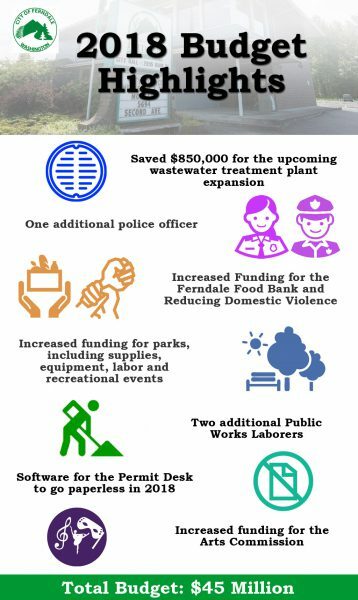 Curious about the 2018 City of Ferndale Budget? Explore some of the highlights in the infographic above and then deep dive into the details at our 2018 Budget page.